“Importantly, fear does not motivate, and appealing to it is often counter-productive as it tends to distance people from the problem, leading them to disengage, doubt and even dismiss it.” –Michael Mann, writing with Susan Joy Hassol and Tom Toles. A widely-read piece like this that is not suitably grounded in fact may provoke unnecessary panic and anxiety among readers. And that has real-world consequences. My twitter feed has been filled w people who, after reading DWW’s piece, have felt deep anxiety. There are people who say they are now considering not having kids, partly bc of this. People are losing sleep, reevaluating their lives. While I think both Mann and Holthaus are brilliant scientists who identified some factual problems in the article, I strongly disagree with their statements about the role of emotions — namely, fear — in climate communications and politics. I am also skeptical of whether climate scientists should be treated as national arbiters of psychological or political questions, in general. I would like to offer my thoughts as a clinical psychologist, and as the founder and director of The Climate Mobilization. Affect tolerance — the ability to tolerate a wide range of feelings in oneself and others — is a critical psychological skill. On the other hand, affect phobia — the fear of certain feelings in oneself or others — is a major psychological problem, as it causes people to rely heavily on psychological defenses. Much of the climate movement seems to suffer from affect phobia, which is probably not surprising given that scientific culture aspires to be purely rational, free of emotional influence. Further, the feelings involved in processing the climate crisis—fear, grief, anger, guilt, and helplessness — can be overwhelming. But that doesn’t mean we should try to avoid “making” people feel such things! Experiencing them is a normal, healthy, necessary part of coming to terms with the climate crisis. I agree with David Roberts that it is OK, indeed imperative, to tell the whole, frightening story. 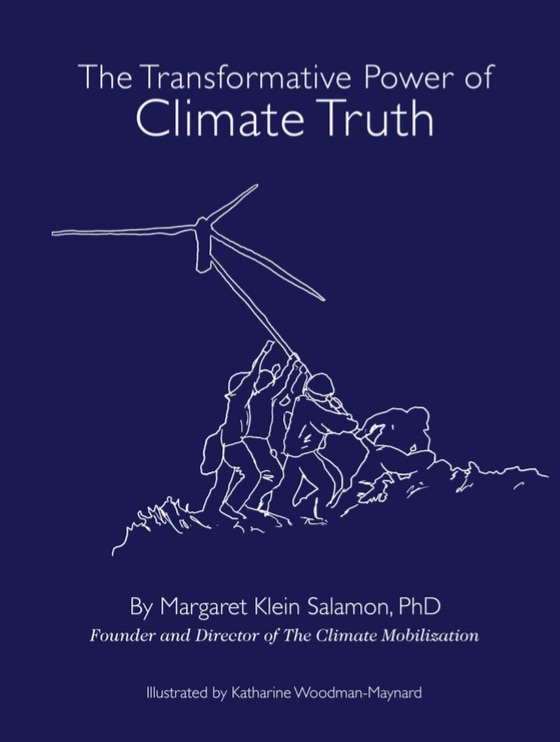 As I argue in The Transformative Power of Climate Truth, it’s the job of those of us trying to protect humanity and restore a safe climate to tell the truth about the climate crisis and help people process and channel their own feelings — not to preemptively try to manage and constrain those feelings. Holthaus writes of people feeling deep anxiety, losing sleep, re-considering their lives due to the article… but this is actually a good thing. Those people are coming out of the trance of denial and starting to confront the reality of our existential emergency. I hope that every single American, every single human experiences such a crisis of conscience. It is the first step to taking substantial action. Our job is not to protect people from the truth or the feelings that accompany it — it’s to protect them from the climate crisis! 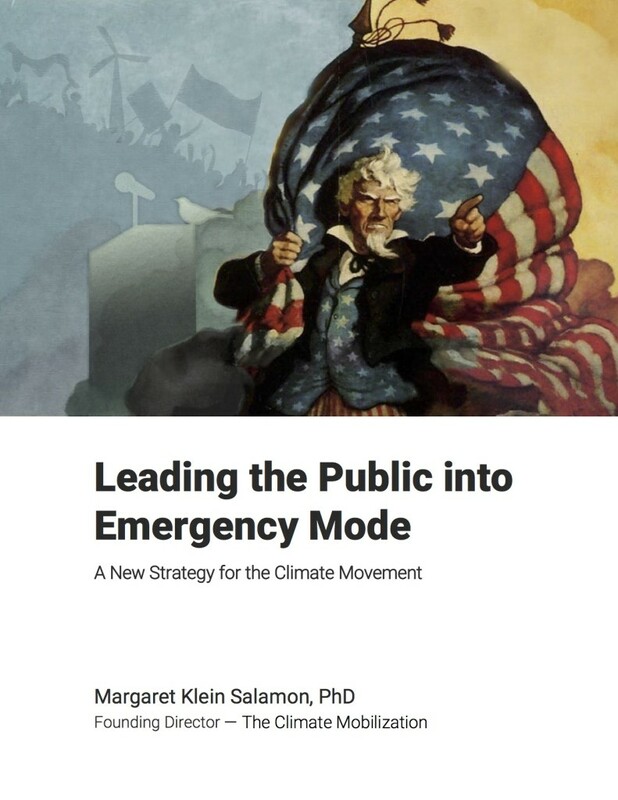 In my paper, Leading the Public into Emergency Mode—a New Strategy for the Climate Movement, I argue that intense, but not paralyzing, fear combined with maximum hope can actually lead people and groups into a state of peak performance. We can rise to the challenge of our time and dedicate ourselves to become heroic messengers and change-makers. Columnist Joe Romm noted that we aren’t doomed — we are choosing to be doomed by failing to respond adequately to the emergency, which would of course entail initiating a WWII-scale response to the climate emergency. Our Victory Plan lays out what policies would look like that, if implemented, would actually protect billions of people and millions of species from decimation. They include: 1) An immediate ban on new fossil fuel infrastructure and a scheduled shut down of all fossil fuels in 10 years; 2) massive government investment in renewables; 3) overhauling our agricultural system to make it a huge carbon sink; 4) fair-shares rationing to reduce demand; 5) A federally-financed job guarantee to eliminate unemployment 6) a 100% marginal tax on income above $500,000. Gradualist half measures, such as a gradually phased-in carbon tax or cap-and-trade system, that seem “politically realistic” but have no hope of actually restoring a safe climate, are not adequate to channel people’s fear into productive action. We know what is physically and morally necessary. 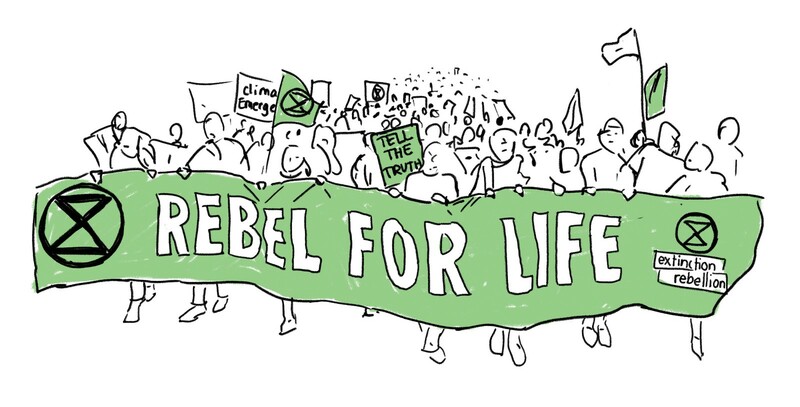 It’s our job — as members of the climate emergency movement — to make that politically possible. This will not be easy, emotionally or otherwise. It will take heroic levels of dedication from ordinary people. We hope you join us.